I have searched all over the internet for the meaning of this hallmark. Is it a makers mark? If so, do you know who it is? What does it represent???? I don't know what the stones are. I have a diamond tester and it doesn't even seem to be a well made cz...... PLEASE HELP! 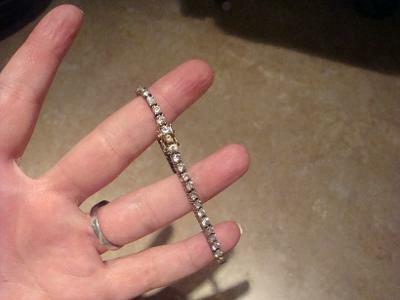 I have a silver bracelet...stamped 925...it looks rugged...like tarnished...i tried cleaning it...but it remains this way...it looked like it was gold plated....it has 41 diamonds...i don't know if they are real or cubic zirconia....my question is the origin or even if it has worth....the hallmark on the bracelet is a diamond...like a jewelry diamond...Not a playing card diamond with a F in the middle. 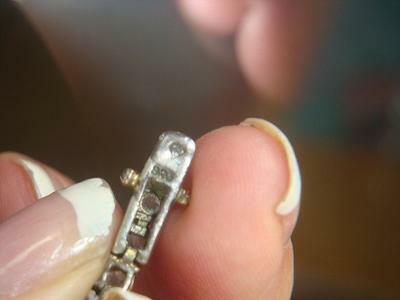 I have a Silver tennis bracelet...I say that cuz its stamped 925 it has 41 I don't know cubic diamonds I guess in it....and I'm curious to know what the Hallmark on it means...above the 925 stamping is diamond shape with a F in the middle...The bracelet is a bit "rugged" so I'm pretty sure its costume. Holly, you mention "Rugged" SILVER Bracelet is stamped 925, which indicates STERLING SIlver Not Silver Plated. 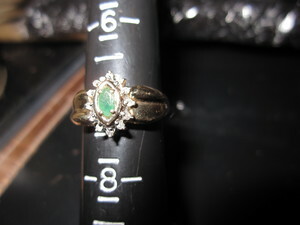 FESSENDEN & Co. (on Sterling Silver, Providence, RI, USA) - ca 1858 - 1922. 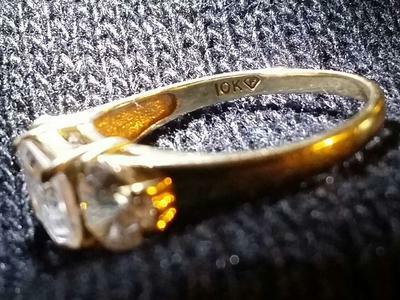 The jewelry manufacturering mark (Fessenden & Co.) is an F in a Jewel Diamond. F in a Diamond Shape Stamp? 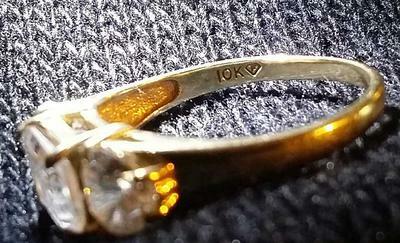 I rediscovered this ring among my jewelry. 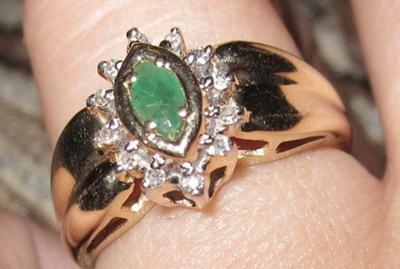 It looks to be 14k gold, diamond and emerald. No idea how old it is. 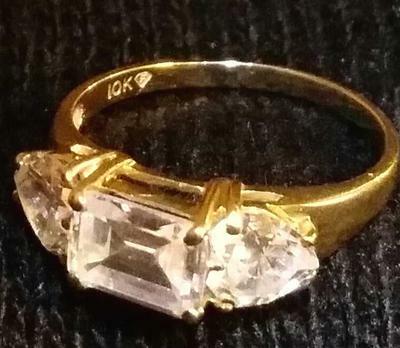 The stamp says 14k, and there is also a diamond shape with a capital F in the middle. I've been unable to determine to whom this hallmark belongs.